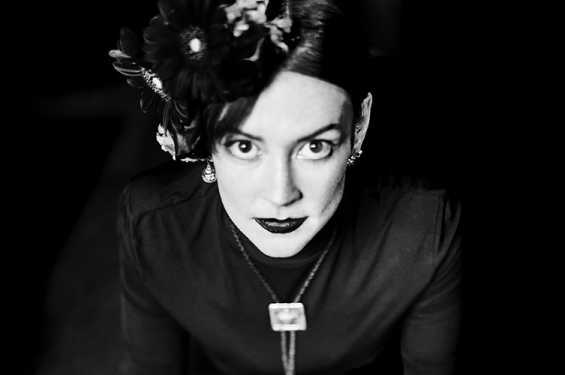 Shortly after the release of her fifth album, To the Sunset, acclaimed singer-songwriter and violinist Amanda Shires will play the Englert stage. The new album is Shires’ second with Grammy Award-winning producer Dave Cobb and will surely feature Shires’ adventurous, honest, and emotive songwriting. Ms. Shires began her career as a teenager playing fiddle with the Texas Playboys. Since then, she’s toured and recorded with John Prine, Billy Joe Shaver, Todd Snider, Justin Townes Earle, Shovels & Rope, and most recently her husband Jason Isbell, as part of the 400 Unit. Shires won the Emerging Artist of the Year Award at the 2017 Americana Music Awards, and also won the Grammy for Best Americana Album in 2018 as a member of the 400 Unit. Along the way she’s made three solo albums, each serving to document a particular period in her life while improving on the perceptive qualities of the previous record.